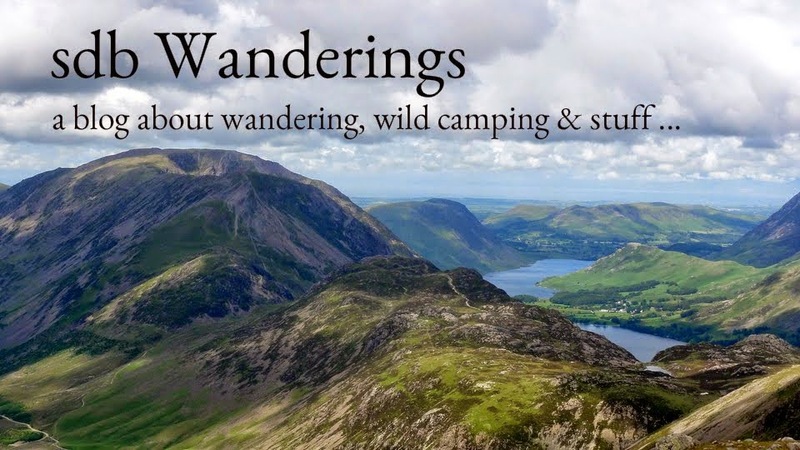 Wainwrights : Helvellyn, Nethermost Pike, Dollywaggon Pike, White Side, Raise. This walk is essentially the typical route up Helvellyn from Patterdale and via Striding Edge. The typical return is then via Swirral Edge and Catstye Cam (that route is described here) but today I wanted to extend the walk further and so from Helvellyn, continued northwards and returned via Sticks Pass. The walk starts along the single track road in the lower Grisedale valley before bearing off right to ascend the southern flanks of Birkhouse Moor. Anticipating the usual traffic on Striding Edge I had left at first light and thankfully reaped the benefits by having the whole glorious arête to myself. When I got to the summit of Helvellyn it was under cloud but the forecast was for this to lift and so I headed leisurely down to Nethermost and Dollywaggon Pikes to have some lunch and watch others hikers slowly picking their way across the now crowded Striding Edge. How many people on there now ?! As forecast the cloud lifted from Helvellyn about an hour later and so I headed on back to enjoy the now clear views. From Helvellyn it's easy going on a good path over Helvellyn Lower Man, White Side and then Raise before the terrain dips a little to the col at Sticks Pass. Here, I headed back down to Ullswater and Patterdale.